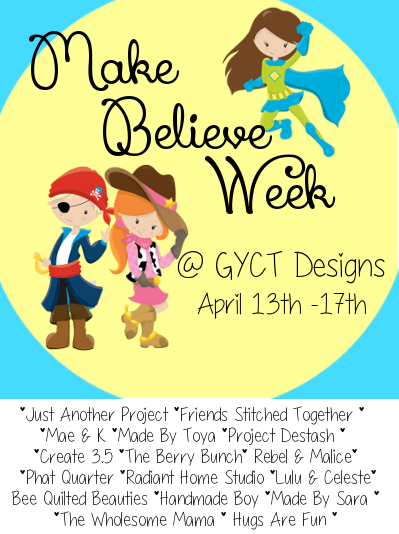 Day 3 of our Make Believe Week Series. And let me tell you these bloggers are blowing me out of the water with their creativity and unique projects. If you've missed anything so far, check out Day 1 and Day 2. Now, on to today's fun projects!!! Up first today is Jessica from The Berry Bunch. She is sharing this awesome Tiger Tail and Ears! Oh my goodness. Cuteness overload. The tail tutorial has snap tabs to attach it to a belt loop or belt. Pair it with the ears on a covered headband. Perfect for pretend. 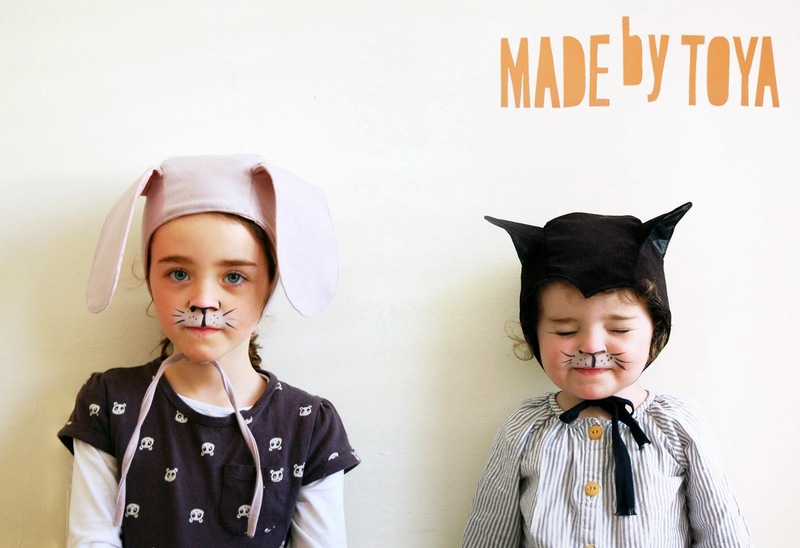 Toya from Made By Toya has these adorable Animal Bonnet patterns for free on her blog. 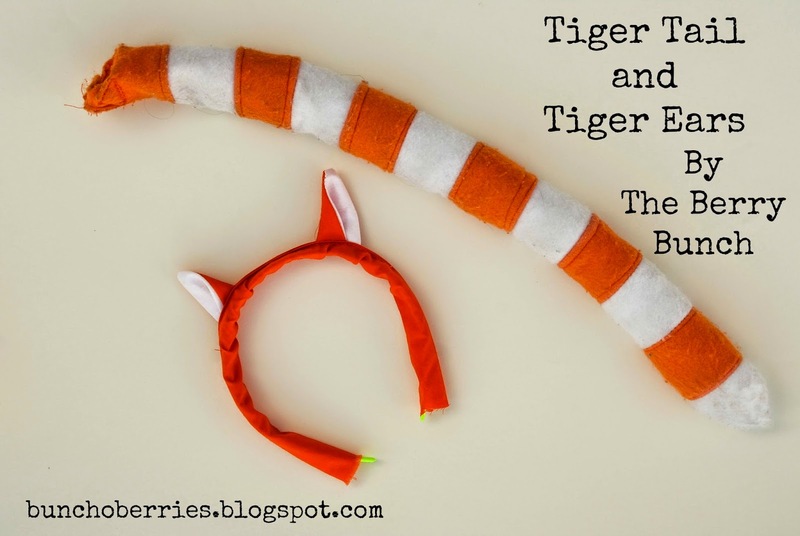 Check out her post which includes a full tutorial for making the cat with peaked hood and pointed ears and the rabbit with straight front edge and large floppy ears. Such a great little pattern and easy to customize for your dress up box. Samantha from Project Destash is also sharing a great little puppet tutorial today. 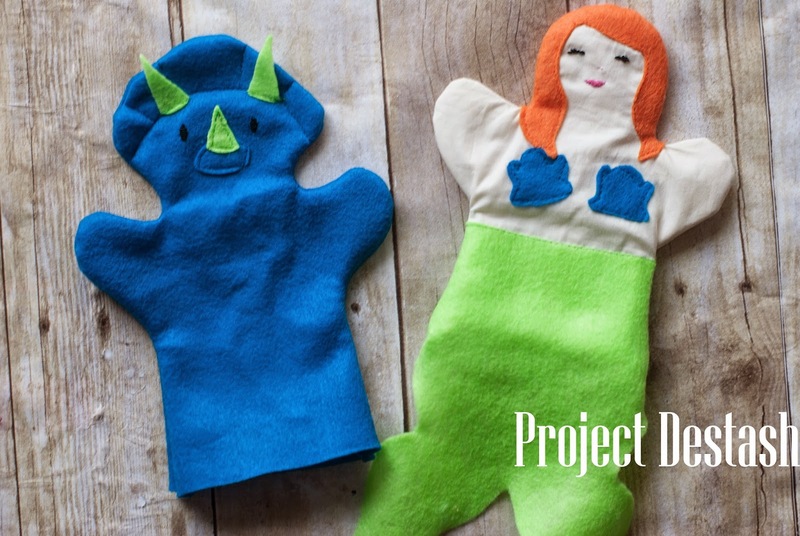 Check out her blog post on how to make a Mermaid and Triceratops hand puppet. Kids love playing pretend with puppets and it is a great addition to their toys. The pattern and a tutorial are on her blog. 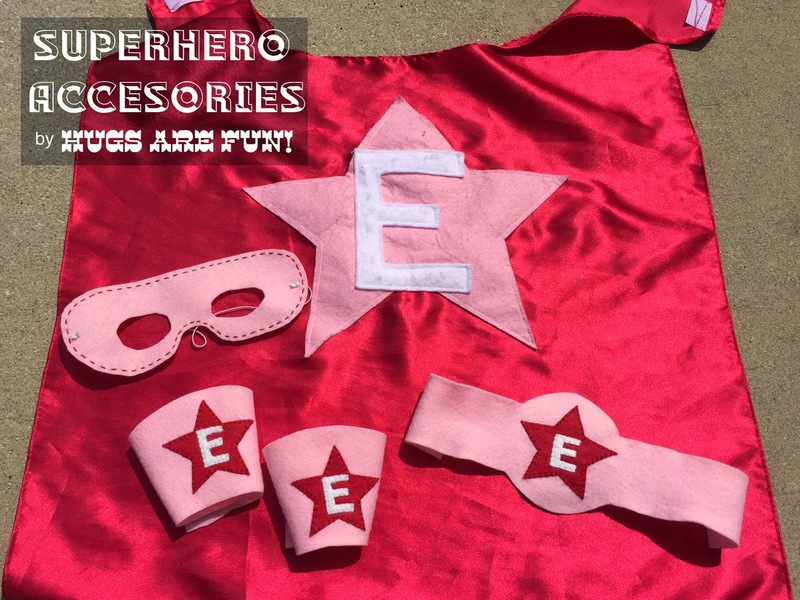 Rebecca from Hugs are Fun has this great pattern for Felt Superhero Accessories. You'll definitely want to go check it out. She has patterns for wristbands, belt and mask! Right here at GYCT Designs we are sharing a fun Flower Headband Tutorial. Perfect for your little one who loves wearing hats and headbands.